They are called "rock sliders" really. They protect the door sills when they get hung on a rock etc. Also used as a jacking point. Flapper wheel all the radius', and then the front will be ready for paint tomorrow. 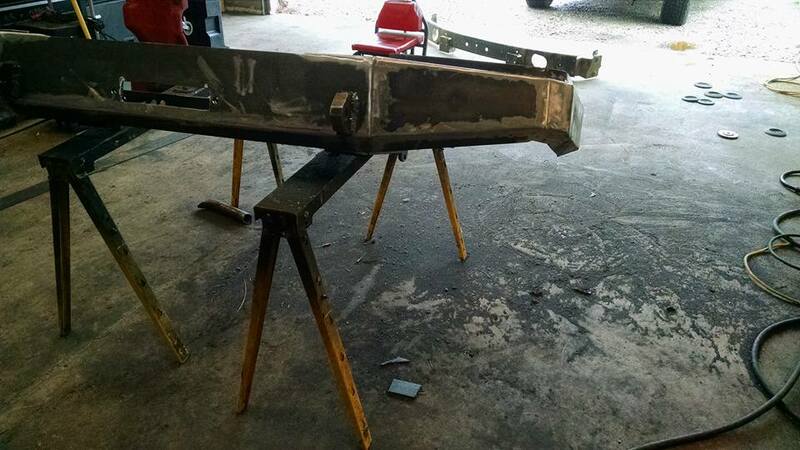 That will be both bumpers and rock sliders done. Under $500 in materials. Will be recessing some small round lights into it, as well as trimming it for the new tires when they go on. Heading back to work, so no time for more stuff right now! Great job! I wish you were closer to me, I would definitely have you build me my rear bumper for me. I built my front on and it looks ok but the rear looks like it may be a pain. That looks great. ill have to try to make something similar for my rear bumper. Think I made a thread about them, when I made them. The clevis' are 3"x1" solid stock, and go into the mounts that go into the frame rails....Solid. 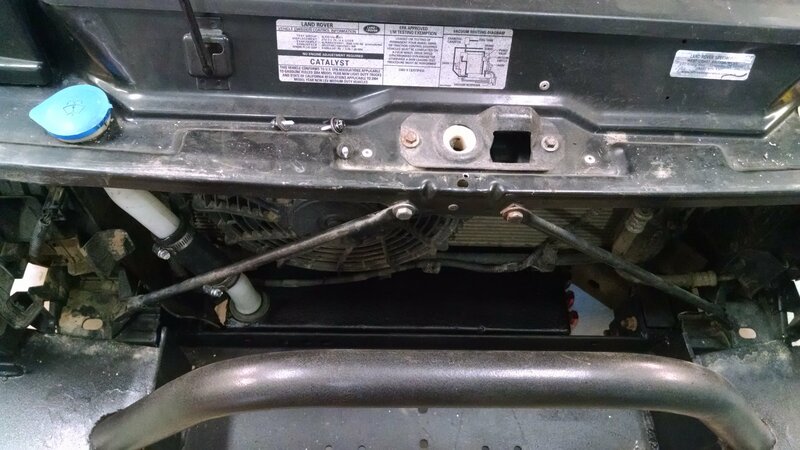 I bent a piece of 1.75" DOM tubing for over the winch tray and welded it on today. Cheryl wanted a hoop, so on it went. Wish I had some thinner walled seamed tubing..... 0.188 wall DOM is a little overkill for a hoop on a bumper! Well got home again, and decided to make a washer bottle for the windshield, rear window and headlamp washers. Couldn't relocate the existing one due to the SAI pump, so off I went. I have a line on a pair of Yota FJ80 axles, already factory geared to 4.10 and equipped with selectable lockers. They are the correct drop and width for the DII. A speedo adjuster to make the ABS signals play nice withe the DII, and new driveshafts. I could get the Rover ones regeared and locked, but at @$3500 to get hardened axle shafts, 2 new 3rds with ARB's, it's not cheap. 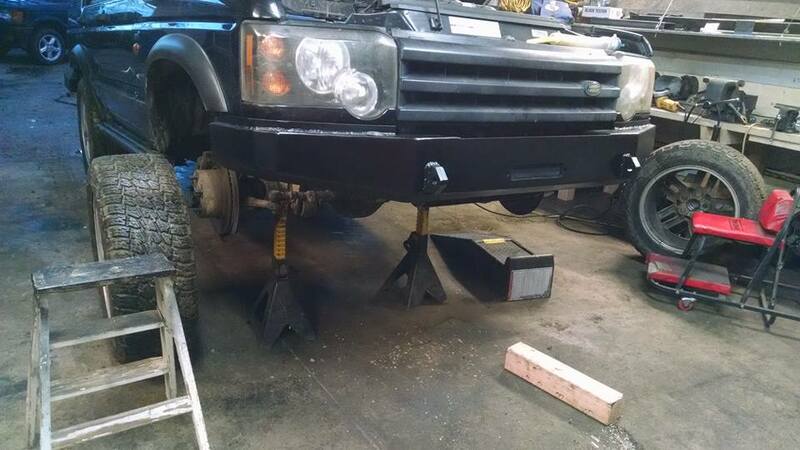 They Yota axles are $1800 in comparison, and will handle 35's no problem. Figuring I will put custom radius arms on it for a while, see how it does with them. Can adjust pinion etc that way. Will do them out of thick walled 2" square tubing, using the factory mounts on the frame. @3" of OME lift and trimmed fenders, then 35's. Winch up front, go wheeling. 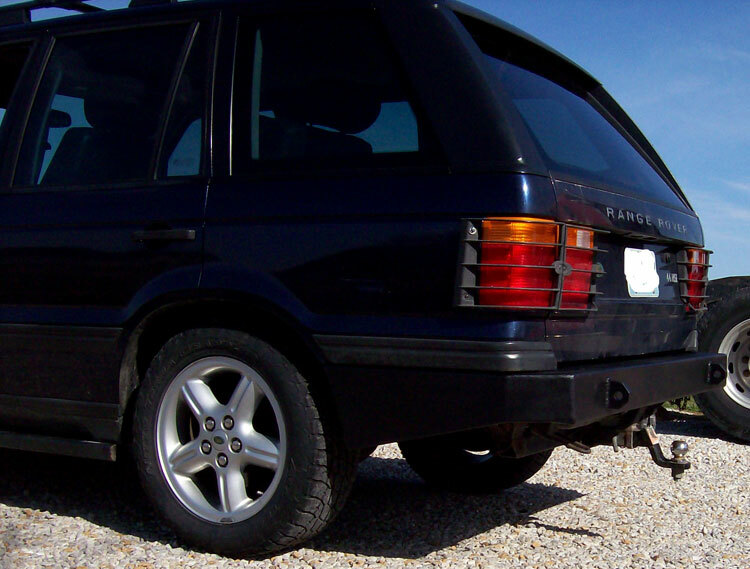 I like the rear bumpers you're building, do you sell them or just build the, for yourself? Used to sell the stuff for P38's, but then got stuck with a bumper for over a year. I'll do one off stuff now, but that's it. Same for motors, I wont get stuck with a fully rebuilt engine again neither. Too many folks that think their bank account is bigger than it really is, and say "Yes" to stuff before asking their wife/mummy/daddy. Then there is the "why does it cost that much" crowd. Last time they built anything, was either 30 years ago out of scrap steel, or it was such a hack job I wouldn't put my dog's name to it. Yep, seen it in person......Not pretty. Currently have 494 and 405 guys asking about sliders etc. though, so we'll see where that goes. You can take me off the list. Sorry. But the good news is I bought a welder and I am getting pretty good with it, so I'm building my own. 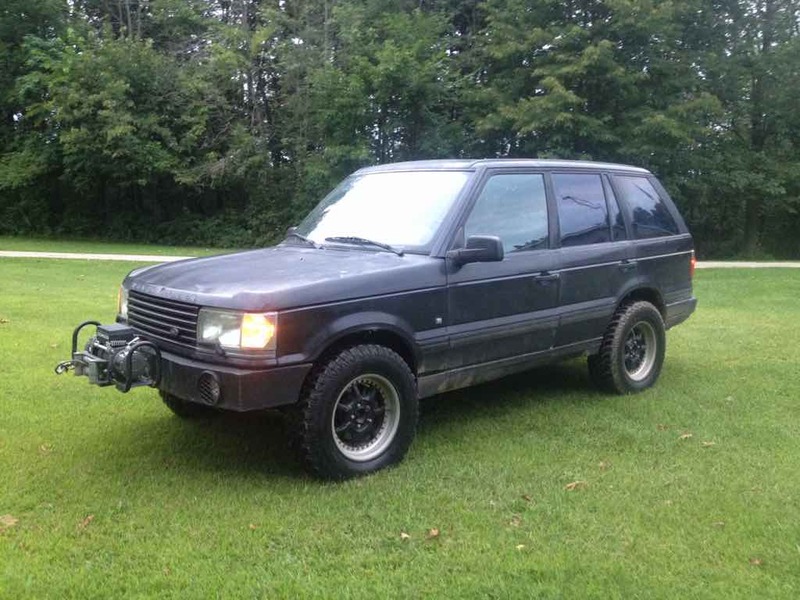 I like your Disco and I want to come wheeling with you, my p38 is going strong. We play around here in Fulton on some weekends, but there is nothing extreme there. Looks like I will need about 24 hrs. notice. Of course some sort of 48 hr sleeping pill for the wife would help too. Keep me informed, it would be nice to wheel with some other Rovers for a change. We can go play in Fulton anytime, it's 15 minutes from me. SMORR is a great park though, and isn't too awfully far. Asked for a price for some HD axle shafts, and regeared ARB'd third members. Toyota axles didnt work out this time round. Then I'll sort the lift out. Looking at 3" of OME lift, cut out fender flares, and trimming to get the 35's on there!